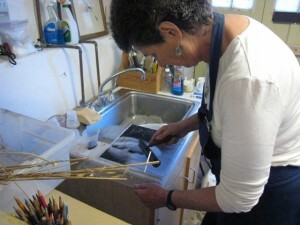 I use a number of printmaking techniques throughout my work. 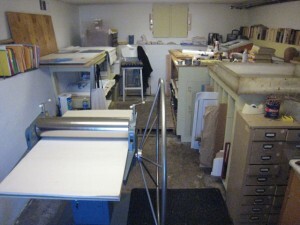 Each print is one of a kind typically combining monotype, Xerox lithography, chine collé and at times, pencil work. 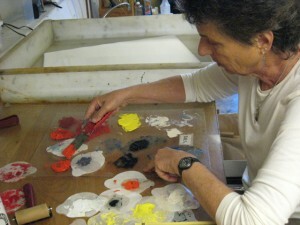 I start with the backgrounds using monotype techniques before transferring the photographic images. 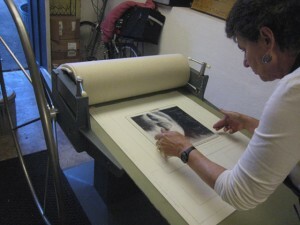 This order can be reversed and done one layer at a time for each image transfer. 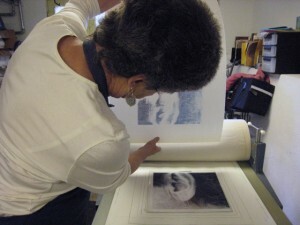 Using a gum transfer method, (also known as Xerox lithography), the photo images are transferred and as noted above this process is repeated a number of times which gives the final print depth and a painterly quality. 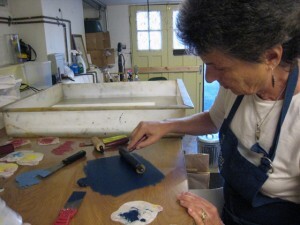 Gum transfer process requires rubbing gum arabic into the toner of a xerox photo- copy, and then rolling up the photo image using oil-based etching inks with a brayer. The ink sticks to the toner but washes away from the white areas with water. 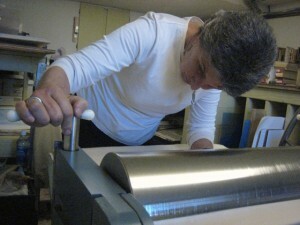 Using an etching press, the image is added to the print. 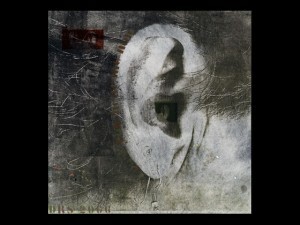 To create a series, I often use the same set of photographic images that typically define the theme I am working with. However, no two prints will ever be exactly the same. Each print is an original, stand-alone piece. The same applies to commissioned art pieces.